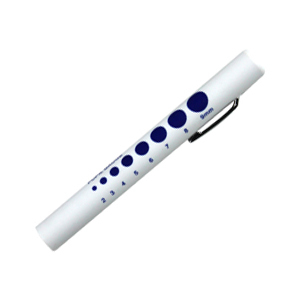 Disposable penlight torch with 2.2V, 0.3A crystal bulb. Incorporates a clip touch switch. Sealed unit with 2 AAA size batteries included. Comes in packets of 6. We can also cater to special and bulk orders with custom designs of different colours and logo's.